RIM reputation of offering the most secure mobile platform on the market. Because according to a new survey conducted by Trend Micro, which is owned BlackBerry 7 RIM is still the most secure OS when compared with iOS 5, Windows Phone 7.5 and Android 2.3. Tests on all mobile OS is performed to determine the performance of a number of components such as built-in security, application security, authentication, device wipe, device firewall and virtualization. 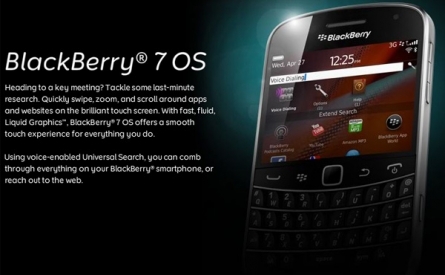 Of all these tests, the BlackBerry OS 7 to collect the highest score (2.89). For comparison, IOS 5 resulted in a score 1.7, Windows Phone 7.5 (1.61) and Android 2.3 (1.37). The researchers from Trend Micro, Altimeter Group and Bloor Research praises BlackBerry OS 7 to the level of security and management. Despite its many shortcomings, especially in the removable storage, the researchers also gave praise to the Apple-iPhone. While Windows Phone 7.5 well received because of its strength. the researchers did not give a lot of compliments on Android 2.x in the tests they did. Even get negative comments, in which researchers claim that the fragmentation that occurs in the platform has proven to be an obstacle to the enterprise users. This report is also likely that underlie the U.S. government bought nearly 400,000 units last year's BlackBerry device.